Phật II (Buddha II) by Lê Thiết Cương. HÀ NỘI — Minimalist painter Lê Thiết Cương, one of Việt Nam’s most famous contemporary artists, is presenting his latest works at the Vincom Centre for Contemporary Art (VCCA) in Hà Nội. Entitled Bóng và Hình (Shadow and Shape), the on-going exhibition displays 22 oil-on-canvas paintings created in 2016 and 2017. The artworks were inspired by the simple, familiar things in life: streets, houses, trees, rivers and furniture. 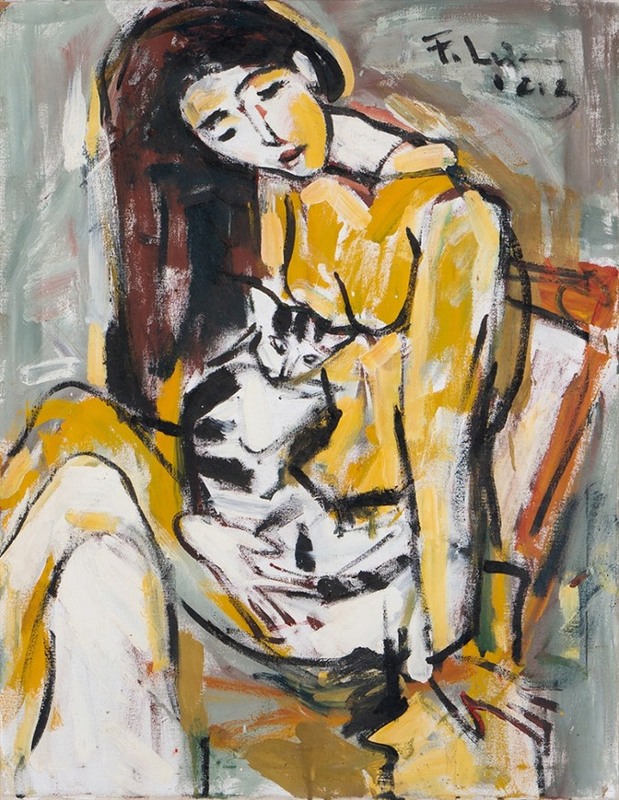 Thiếu Nữ Ôm Mèo (Young Woman with Cat) by Phạm Lực. “These are the ingredients for my works, but perhaps they could be seen differently through the exhibition and evoke something else, rather than just being some shadows and shapes,” the artist said. Since beginning his journey with minimalism 30 years ago, the 56-year-old artist has practiced the minimalist style in every way possible. 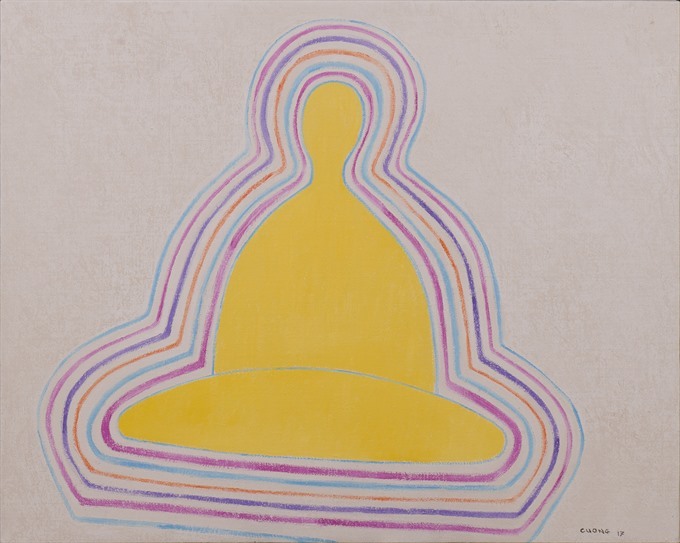 In Shadow and Shape, exhibition goers can see a unique approach to minimalism as the paintings reflect the influence of Buddhism and the idea of Zen. 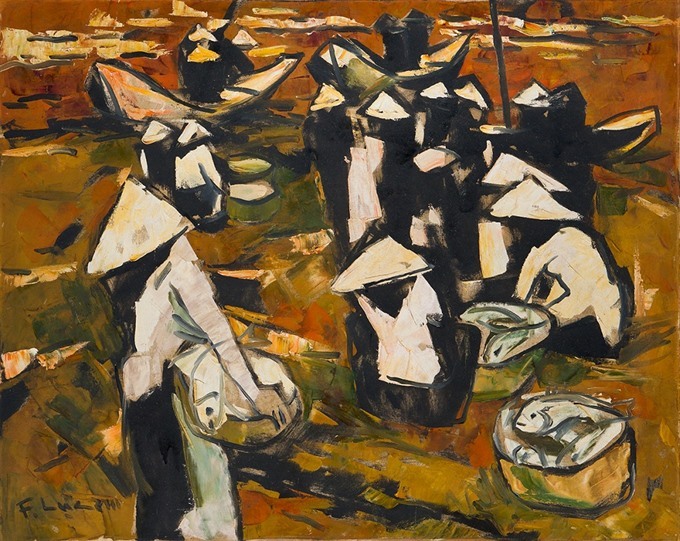 Chợ Cá (Fish Market) by Phạm Lực. “Maybe the artist wants to create a new ‘art-meditation’ approach where art has symbolic and suggestive values,” said art critic Phan Cẩm Thượng. On Saturday at 10.30am, the minimalist painter will join some other artists for a discussion about art. 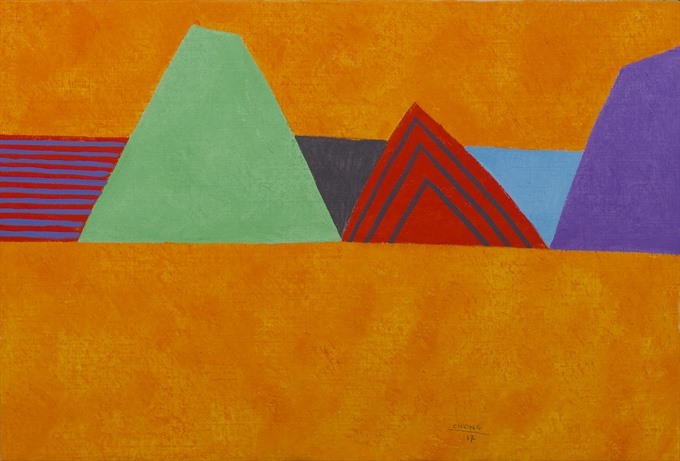 Together with the Shadow and Shape, the VCCA is also hosting another exhibition featuring 60 pieces by veteran painter Phạm Lực, one of the most renowned painters in Việt Nam. The works were selected by artist and curator Cương from a Nguyễn Sĩ Dũng’s private collection of 700 artworks. Cầu I (Bridge) by Lê Thiết Cương.